Cooking with a crock pot is so awesome! 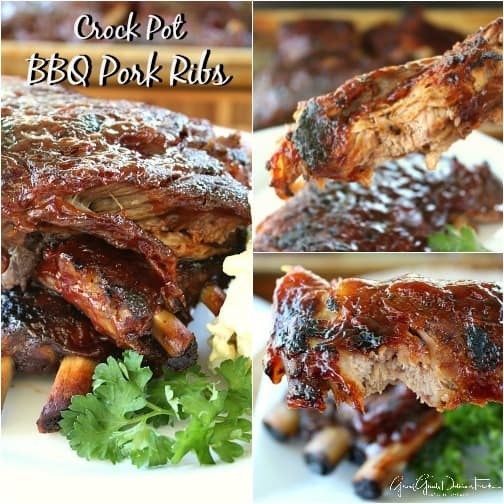 Not only can you start it and basically forget about it, but you end up with delicious meals like these crock pot BBQ pork ribs which are amazing! I started off using the crock pot, and finished these ribs off in the broiler topped with BBQ sauce. These definitely are ‘fall off the bone’ delicious! First off, rub the dry rub seasoning all over the top of the ribs. Place the onions, then the ribs, garlic and green taco sauce into the crock pot. 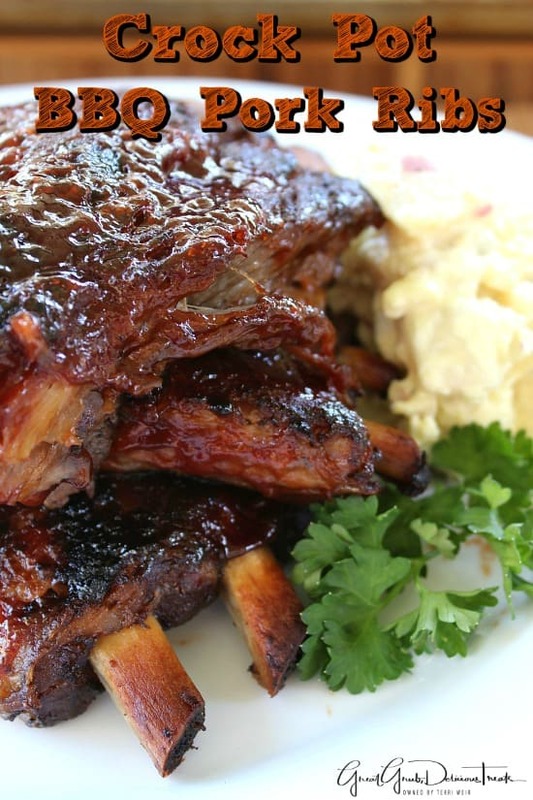 Cover and in short while you will be enjoying these mouthwatering ribs. 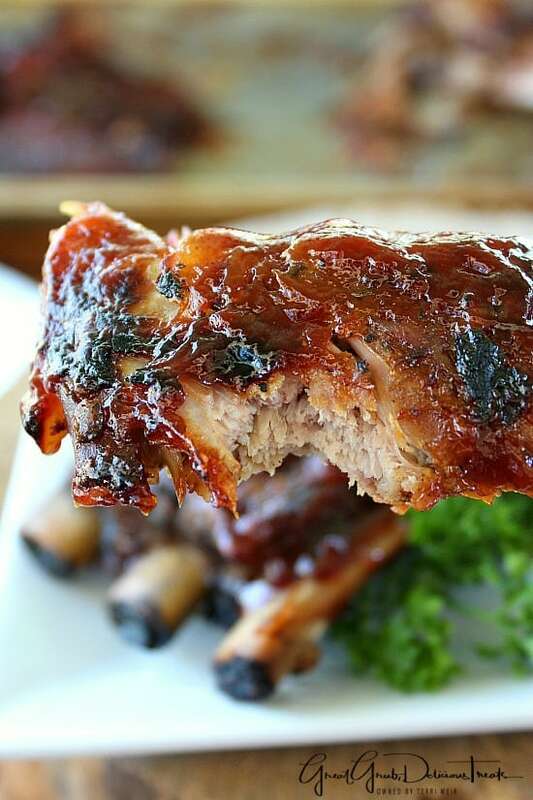 When you remove these tender ribs from the crock pot, they will definitely fall apart, so make sure to take a few out at a time and place on a baking sheet that’s been sprayed with a non stick spray. 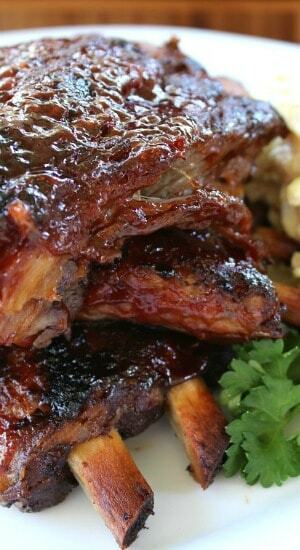 Smother with your favorite barbecue sauce and broil until brown and sauce gets browned a bit. This is a great recipe that can also be made the night before and ready for lunch the next day! Just start the crock pot on low before bed, add all the ingredients, and these should be good to go by morning. Then just place the ribs on a baking sheet, let cool a bit, put in the fridge until ready to heat up. 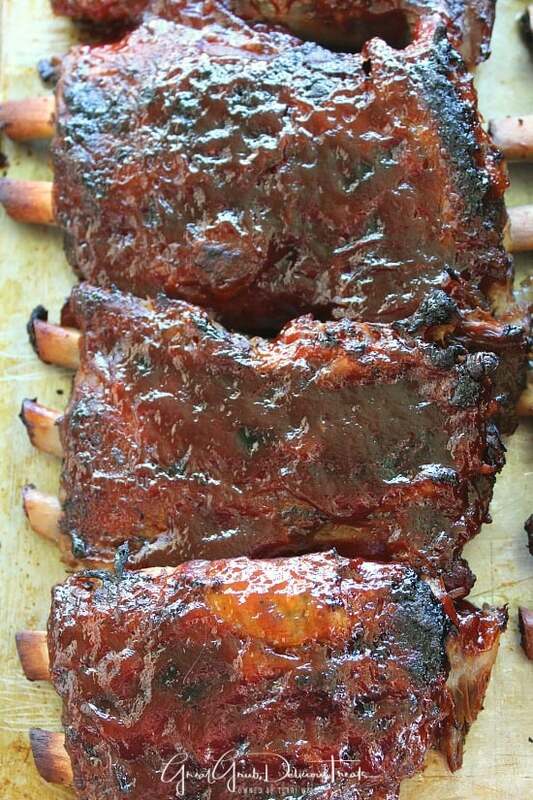 Top with barbecue sauce, stick in the broiler and broil until these mouth watering ribs are cooked to your liking! Oh man, grab some napkins and enjoy! 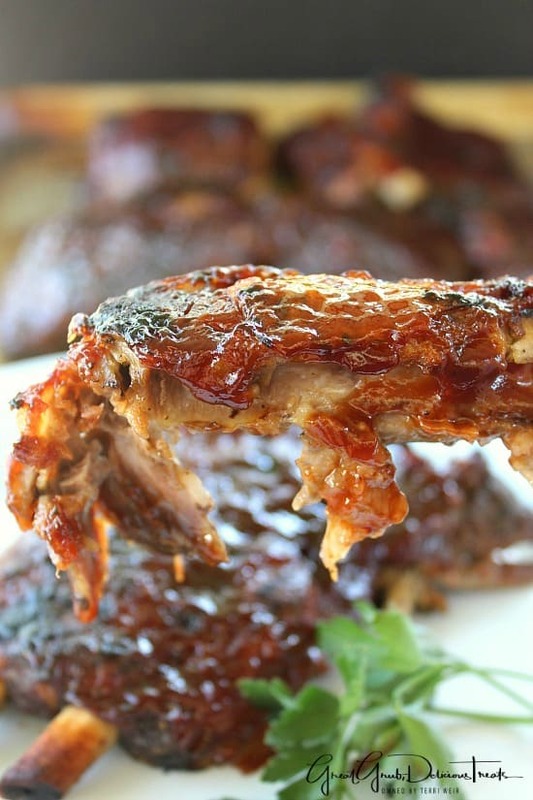 You are going to be in heaven getting this sauce all over your mouth while sinking your teeth into these delicious crock pot BBQ pork ribs! Spray a 6 quart or larger crock pot with non stick spray and turn to high. Rub dry rub seasoning over the top of the ribs. Add onions, pork ribs, garlic to crock pot and top with green taco sauce. Cover and let cook 6-8 hours until tender. Once cooked, remove ribs carefully and place on a baking sheet that's been sprayed with non stick spray. 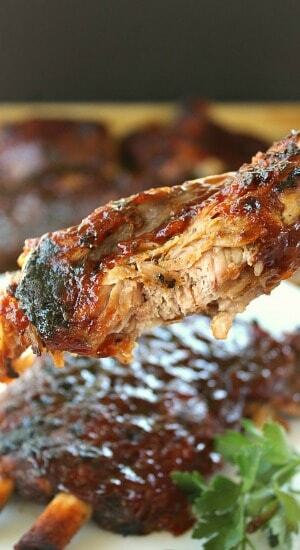 Top with barbecue sauce and broil until browned and barbecue sauce starts to brown. Remove from oven, grab some napkins and enjoy! I never had crock before and in NewYork is really expensive to eat at the restaurant. 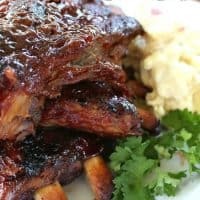 Any tips from where to buy in NY crock ribs?